None of us likes to see our pets in pain. Whilst acute pain is beneficial in the short term, promoting protection and adaption so as to prevent further injury and allow healing to occur, chronic pain is not beneficial at all. Chronic pain causes the same responses in the body as stress (e.g. increased heart rate, respiratory rate, decreased wound healing, adverse effects on the immune system) and can become a disease in its own right. In either case we want to find ways to relieve and manage our pet’s pain and that's where pain management comes in. 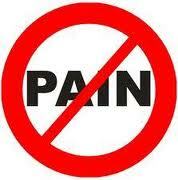 Whether in acute or chronic cases pain management seeks to take early and effective action to treat pain. In cases of acute pain, such as those arising from trauma or surgery early intervention aims to assist with healing and recovery, and to prevent the development of chronic pain. However, for many of our pets living with pain is already a fact of life. The source of this chronic pain might be unknown and dealing with the pain can be frustrating as we all worry about our pets suffering. Fortunately, for us and our pets pain management is not only concerned with preventing the development of chronic pain, but also with the treatment of chronic pain. The good news is that there are now many good ways to help alleviate our pet's suffering and improve their quality of life. How can I recognise pain? The first step towards dealing effectively with pain is to recognise it. This is easier said than done. The signs of pain vary from species to species, and many animals will do their best to conceal their pain from us. The second step is to visit a veterinarian skilled in pain management. The veterinarian will be able to interpret the signs you've recognised, and having examined your pet from nose to toes, and having listened to his story will be well placed to discuss treatment options with you and come up with a carefully designed plan to manage your pet's pain and improve his quality of life. •Does your dog take longer to get out of bed in the morning than they used to? •Does your dog play or exercise less often and less vigorously or even spend more time away from the family in the home? •Does your dog play in a different way, or with the lower activity toys, e.g. have they stopped playing ball and now just lay chewing a toy instead? •Does your dog limp or look different when walking or running? •Does your dog lick a certain patch of their body frequently? •Has your dog changed their sleep patterns/location or eating habits? •Has your dog stopped or is struggling to jump in the car, onto the sofa or go upstairs? •Is your dog more wary on hard or slippery floors? •Is your dog slower only when it’s cold and wet? •Does your dog wag their tail less than they used to? •Is your dog more irritable or breaking their house training? •Is your dog panting a lot, pacing or always restless? •Has the vet put your dog on any medication for arthritis, or are they on any other joint medication, supplements or food? Each aspect on its own could have varying causes and may not mean your dog is in pain, but if you answered yes to any of them it might be fruitful to have your dog checked out by our veterinarian. •Does your cat have a reduced appetite? •Does your cat spend more time sleeping and venture outside less often? •Is your cat having difficulty grooming, so that his coat is becoming matted, or is he overgrooming? •Is your cat having difficulty jumping? •Is your house trained cat having accidents around the house? Once again, any one aspect might be accounted for by something other than pain, but recognising such changes in cats or dogs, or more subtle things, like teeth grinding in rabbits, can alert us to the fact that our much loved companion may be suffering from pain. Making sense of your answers is where our veterinarian skilled in pain management comes in. Our vet, Dr Kerr, has completed a certificate course in chronic pain management in the UK. What can be done to treat and manage pain? When you book a pain management consultation, our veterinarian will aim to assess how much your pet is suffering. Though animals can't talk, they can still tell us their stories. Our veterinarian will take time to examine your pet, to establish what is painful and how painful it is. She will ask you about your observations of your pet, how he is now and how he used to be, what treatment he's received and what medications and supplements he's taking. When all the information about the type of pain and how it is affecting your pet is gathered, our vet will discuss the options with you and create a plan to manage your pet’s pain together. Treatment options will vary from case to case, and will be informed by the sources of pain identified in the clinical examination, i.e. from which parts of the body the pain might be coming. The options for your pet will be discussed with you on the basis of the clinical examination and the history provided. The treatment plan will take into account concerns about medication, including potential side effects or difficulties in giving tablets, as well as your pet's likely acceptance of the treatment. You will play a vital role in the success of this plan, and as such have a key responsibility in following the instructions provided by our veterinarian, keeping our veterinarian informed of any and all changes in your pet's condition and behaviour, and making sure any non-veterinary treatments are only used with prior veterinary approval. Working closely with our veterinarian, the various treatment options can be used together to bring relief from the debilitating effects of pain and promote quality of life for your pet. Chronic pain can take up to 6 weeks to develop but it can also take up to 6 weeks to get some forms of pain under control. During this time, your pet may need to take several different types of pain medication as well as have other pain relieving therapies. Gradually the number of pain medications and therapies will be reduced as your pet’s pain is managed. It is worth noting the different behaviours that improve or disappear as your pet’s pain is managed as it is often these behaviours which reappear if the pain starts to return. A multimodal or integrative approach to pain management gives the best outcomes. Arthritis, other joint and spinal problems often progress with time and so more treatments may need to be added to manage these conditions. Weight management (trying to have your pet as skinny as possible), environmental management (e.g. non-slip floors) and a modified exercise regime are the foundation of pain control especially for conditions like arthritis. It is important for exercise to be regular, daily and consistent amounts of on lead walking. It is much better to walk shorter distances every day than doing shorter walks some days and longer walks on other days or only taking for walks at the weekend. Normally rest is only advised when your pet is in acute pain or there is acute lameness. Our medications and treatments need a good foundation to be successful. If there is not good weight management etc then our medications and therapies will not be as effective. Many of our pets cannot be given human painkillers because of the harmful effects these can cause. Commonly available medicines can cause life-threatening side effects such as stomach ulcers, kidney failure and liver failure. Never give your pet medications without specific instructions from our vet, always follow the instructions given by our vet with regard to medications prescribed, never change the prescribed dose or stop the medication without speaking to our vet, and make sure our vet knows about any supplements and herbal or homeopathic remedies your pet is taking in case of any interactions. Pain management is offered within the normal working hours of Southern Cross Veterinary Clinic. For clients of Southern Cross making an appointment is as simple as calling reception and asking to make a pain management appointment. For your convenience after the initial evaluation, we offer a day service. This means that you can leave your pet with us for the day while he or she receives treatment. 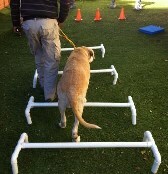 Your pet can then benefit from multiple sessions throughout the day. If you are registered with another veterinary practice, but think that a pain management consultation might be of benefit to your pet, please speak to your vet regarding referral. All treatment is by veterinary referral as the health of your pet is our top priority. Veterinary referral ensures that there is clear and complete communication between the professionals who care for your pet and makes sure that he or she is safe at all times. Throughout your pet’s treatment we will give your vet reports on his or her progress, and your vet will remain in charge of all other aspects of your pet’s care, such as the supply of any medications, vaccinations, supplements and diets. To make an appointment ask your vet to complete our veterinary referral form and then contact us to make a booking. Read more about physical rehabilitation, acupuncture, laser therapy and veterinary chiropractic for pets.